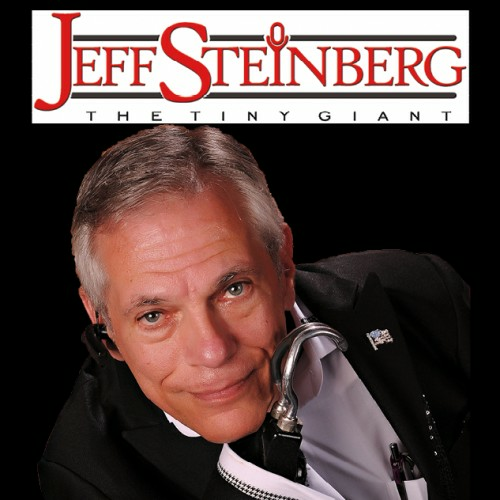 Jeff Steinberg is a Keynote Speaker, Humorist/Comedian, Author and Singer with a very special message; "A real handicap is anything that keeps me from being or becoming all that I was created to be!" Born with what most folks would call "handicaps," - no arms, badly “compromised” legs, he refused to quit!! Jeff is living proof that, “…the difficult we do right away, the impossible takes a little longer!” A true overcomer, he continues to accomplish the very things his family & friends insisted, "…he couldn't do, shouldn't do or wouldn't do." As a young boy Jeff, learned the truth that would become the foundation of his life: "I am fearfully and wonderfully made...” Jeff Steinberg is a Masterpiece In Progress, and he wants YOU to know it! He sees his disabilities as assets, not liabilities.For more than 45 years, he has traveled the globe with a most unique challenge, "Quit focusing on the handicap and start appreciating The Gift!" His presentation is fun, up close & personal and inspirational. “All That I Can Be…” – A major key to achieving personal goals lies in the discovery of the “unique design” that is “ME” – positives and negatives, strengths and weaknesses, abilities and “disabilities” – then shaping my future to take full advantage of that design. Recognizing, acknowledging and ultimately embracing, “all that I am” provides the foundation for me to become “all that I can be.” The acceptance and application of these principles will promote achievement commensurate with ability, regardless of the task. “How Handicapped Am I? ?” – Everyone has limitations. The danger of self-actualization lies in accepting those limitations as “handicaps”. By redefining the word “handicap” as “anything which keeps me from being or becoming all that I was created to be,” and replace the myths we accept about our apparent limitations with a realistic understanding of what truly prevents success provides a vehicle to personal and professional fulfillment. He has shared the stage with Zig Ziglar, Pat Boone, NFL Superbowl Champion Rocky Bleier, Justin Dart, Art Linkletter, Senator Daniel Inouye, John & Greg Rice, Baseball Hall of Famer Willie Stargell, Entertainer Jim Nabors, Senator Bob Dole, Daniel Miller, John Goodman, ?????? ?Senator Bob Dole, The Dallas Cowboys Cheerleaders, and many more. A true highlight of his career was a memorable appearance with Mother Teresa of Calcutta during her 1989 USA visit. Jeff Steinberg is the recipient of the prestigious 2015 AMG Heritage Award for Comedian of The Year! Jeff Steinberg is the 13th inductee into The Good Shepherd Hall of Fame for Persons with Disabilities for his achievements in the field of music, for his advocacy for the physically challenged and for carrying the message that each of us is “A Masterpiece In Progress.” He is the recipient of the prestigious 2015 Artist Music Guild Heritage Award for Comedian of The Year, and a nominee in multiple other categories. His autobiography, Masterpiece In Progress, now in the fifth printing, is published and distributed worldwide by GlovePRINTS Press and is available on Kindle, iBooks and Audible.com. Find out more about Jeff Steinberg at http://JeffSteinberg.NET.